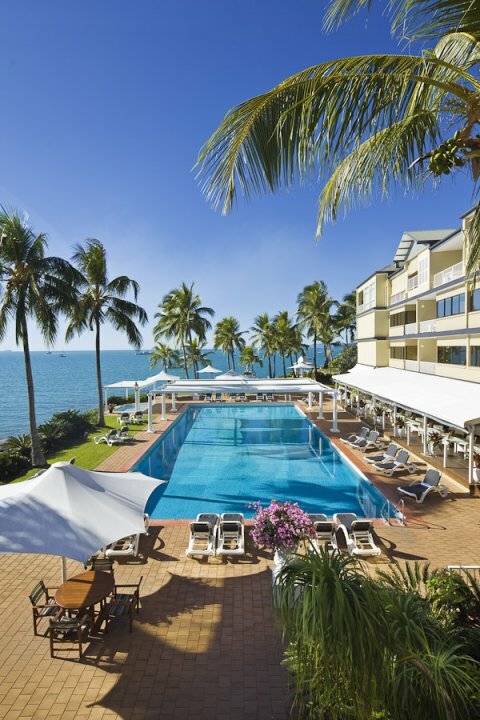 Positioned on the absolute ocean front and just a short stroll via seaside boardwalk to the enchanting Airlie Beach resort village with its relaxed atmosphere and collection of eclectic shops and cafes lies the Coral Sea Resort. A stroll in the opposite direction crossing a separate boardwalk with the sea below is Abel Point Marina, your direct access to the Whitsunday Islands and the Great Barrier Reef. Coral Sea Resort features a variety of hotel rooms including deluxe suites and one, two and three bedroom apartments, penthouses and beach houses. All are serviced daily. Coral Sea Resort offers an enticing array of facilities including, an award winning oceanfront restaurant, private dining seaside gazebo, cocktail lounge, fitness room, disabled and lift access, massage facilities, private Jetty, water sports, 25 metre pool, wedding chapel, resort shop and tour desk. If driving, access is a short distance off the Bruce Highway turning off at Proserpine. 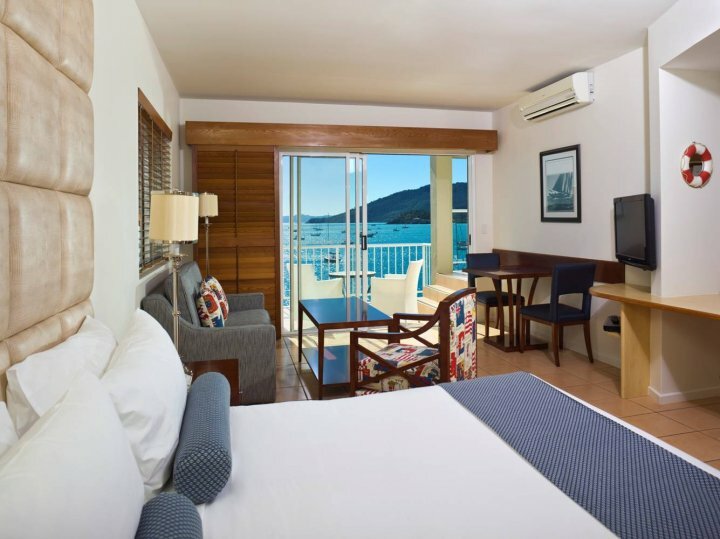 The area is also serviced by two major airports, Whitsunday Coast Airport and the Hamilton Island Airport, where all daily flights are met by commercial transport bringing you directly to the resorts front door. 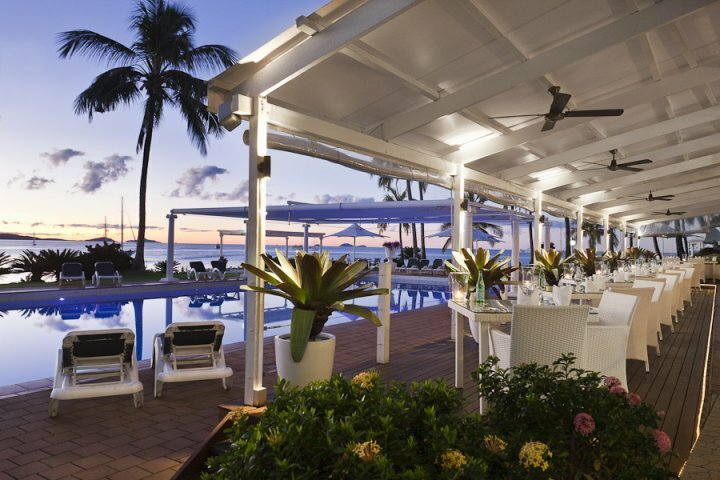 The 4 star Coral Sea Resort rates as one of the most appealing deluxe resorts in the magical Whitsundays, combining first class facilities with award winning legendary hospitality. At Coral Sea Resort all credit card payments incur a surcharge of 1.5%. For Eftpos or cash no additional surcharges apply. Please note for cash paying guests that an additional $100 pre-authorization will be taken on arrival to cover any incidentals during your stay. Absolute oceanfront resort with incredible views of the Coral Sea. Book now to receive FREE parking, FREE tropical breakfast, FREE austar, and FREE inhouse movies! The Coral Sea Suites are built on the high watermark on the absolute oceanfront. They feature a king size bed, and, a luxurious outdoor balcony spa and double hammock all overlooking magnificent sea views. 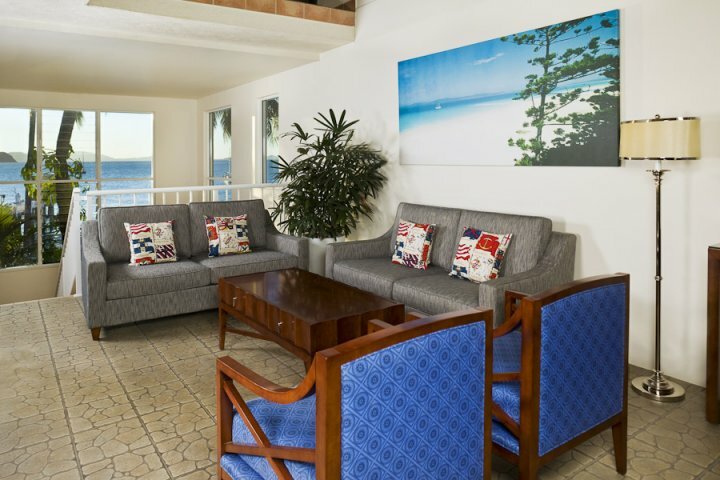 **ADVANCE PURCHASE** Absolute oceanfront resort with incredible views of the Coral Sea. Book now to receive FREE parking, FREE tropical breakfast, FREE austar, and FREE inhouse movies! The Coral Sea Spa Suites are built on the high watermark on the absolute oceanfront. They feature a king size bed, and a luxurious outdoor balcony spa and double hammock all overlooking magnificent sea views. 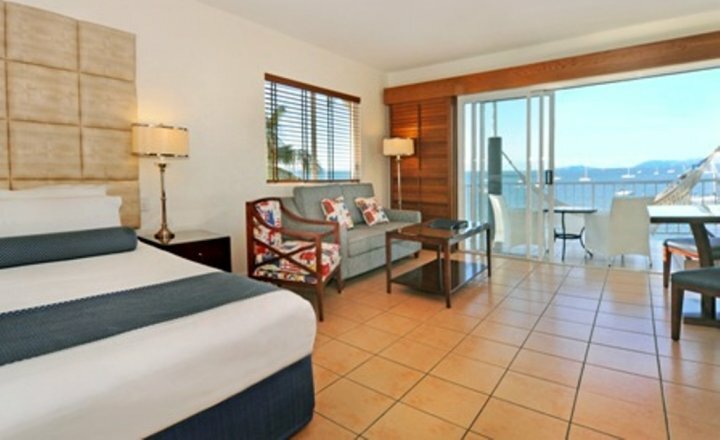 Coral Sea Resort is the only FULL SERVICE resort in Airlie Beach! Book now to receive FREE parking, FREE tropical breakfast, FREE austar, and FREE inhouse movies! The Garden View Rooms have a queen size bed, some rooms with an additional queen bed and garden views. Twin bedding is on request only. 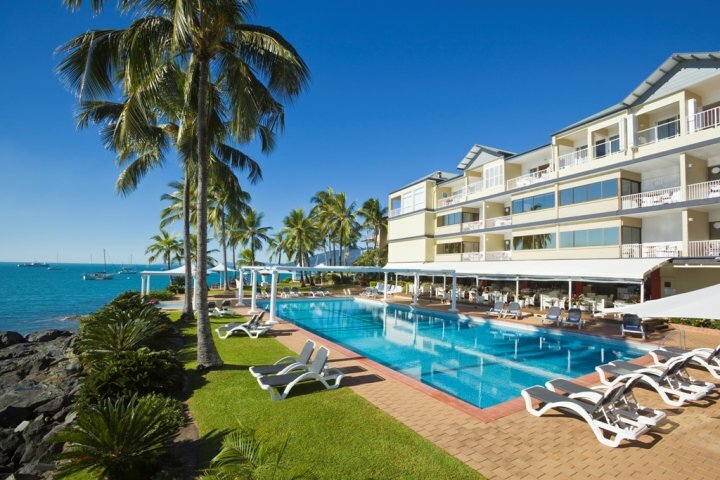 **ADVANCE PURCHASE** Coral Sea Resort is the only FULL SERVICE resort in Airlie Beach! Book now to receive FREE parking, FREE tropical breakfast, FREE austar, and FREE inhouse movies! The Garden View Rooms have a queen size bed, some rooms with an additional queen bed and garden views. Twin bedding is on request only. Coral Sea Resort is the only FULL SERVICE resort in Airlie Beach! Book now to receive FREE parking, FREE tropical breakfast, FREE austar, and FREE inhouse movies! The Ocean View Rooms have a queen size bed some rooms with an additional queen bed and feature a private balcony with beautiful sea views. Twin bedding is on request. **ADVANCE PURCHASE** Absolute oceanfront resort with incredible views of the Coral Sea. Book now to receive FREE tropical breakfast, FREE parking,FREE austar, and FREE inhouse movies! The Ocean View Rooms have a queen size bed some rooms with an additional queen bed and feature a private balcony with beautiful sea views. Twin bedding on request. Very few conference locations in Australia can compete with the stunning position of the Nautilus Room at Coral Sea Resort - the gateway to the Whitsundays. An ideal venue for groups, incentives, special events and conferences, Coral Sea Resort boasts extensive conference and meeting facilities, unique breakout terraces, state of the art audio visual equipment and a conference and events team that ensures 'nothing is overlooked but the Coral Sea. Should you require any extra equipment for your conference, additional charges will apply. Wireless Internet can be arranged upon consultation with the Conference Manager. Please see reception on arrival. We guarantee check-in at 2pm, any time prior is subject to room availability on arrival. Coral Sea Resort has 24 hour reception. Please refer to room types. We offer complimentary undercover carparking for all inhouse guests. Please call Coral Sea Resort Reservations to book any airport transfers if required (1800 075 061 or email stay@coralsearesort.com with flight numbers & times of arrival / departure). Melbourne-Brisbane-Whitsunday Coast-Minibus Transfer or Limousine to the resort. Melbourne-Hamilton Island-Boat Transfer to Airlie Beach Marina & then minibus to our resort reception. Sydney-Brisbane-Whitsunday Coast-Minibus Transfer or Limousine to the resort. Sydney-Hamilton Island-Boat Transfer to Airlie Beach Marina & then minibus to our resort reception. Brisbane-Whitsunday Coast-Minibus Transfer or Limousine to the resort. Brisbane-Hamilton Island-Boat Transfer to Airlie Beach Marina & then minibus to our resort reception. Whitsunday Coast Airport to Coral Sea Resort by minibus @ $15 per person. Whitsunday Coast Airport to Coral Sea Resort by sedan limousine @ $75 per car for up to 4 people. Whitsunday Coast Airport to Coral Sea Resort by stretch limousine @ $110 per car for up to 7 people. 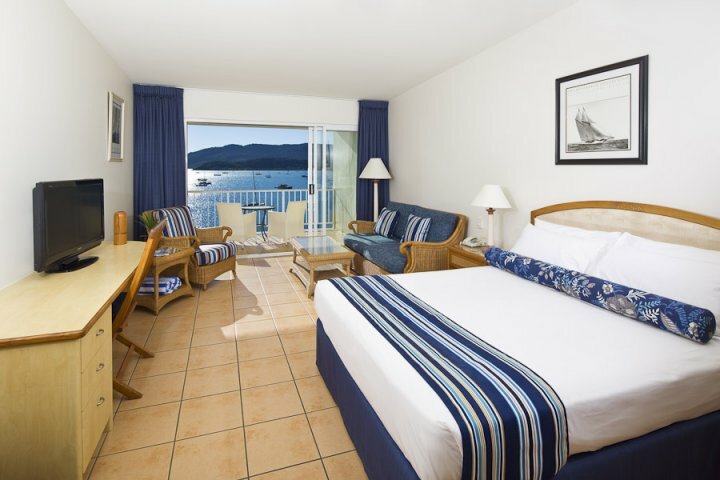 Hamilton Island Airport to Coral Sea Resort-$49 per person each way. Self Drive Coral Sea Resort is located 25 minutes from the Bruce Highway. If travelling from the south, proceed through Proserpine and turn right onto Shute Harbour Road, if travelling from the North turn left onto Shute Harbour Road, follow Shute Harbour Road. 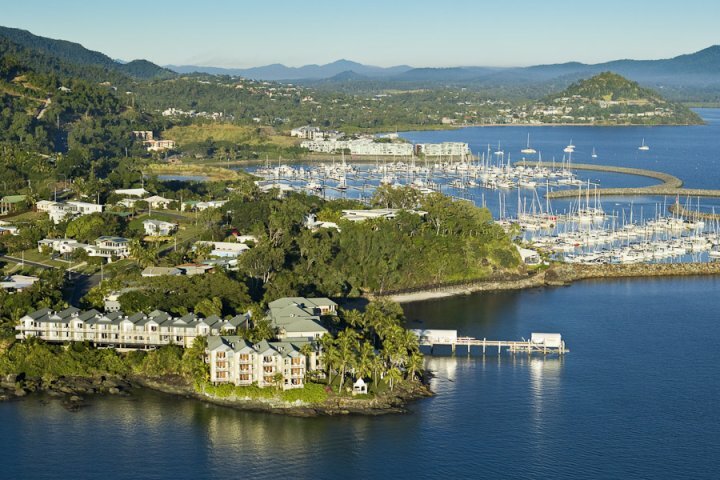 Go past Abel Point Marina on your left hand sign and at the "Welcome to Airlie Beach" sign turn left into Summit Avenue, then right into Ocean View Avenue. Coral Sea Resort is located on the left hand side. Cruise to the outer Great Barrier Reef, let your feet sink into the silica white sand of Whitehaven Beach, Relax by the Airlie Beach Lagoon, learn to scuba dive at some of the best reefs in the world, including the Stepping Stones and the Cathedrals Snorkel among some 1500 species of fish and 400 types of coral, fly over Heart Reef for a birds-eye view of this amazing icon, hike to the lookout at Hill Inlet Whitehaven Beach for stunning views of Whitsunday Island, catch a seaplane or helicopter to a private beach for a picnic to remember, go whale watching or crocodile spotting, enjoy great food and wine on the Airlie Beach Esplanade, hike through a National Forest on the Whitsundays Great Walk or watch the sun set over 74 Islands! Discover nature on the Whitsundays Great Walk, Soak up the sun, cool off and make new friends at Airlie Beach Lagoon, go shopping at the weekend markets or browse the Whitsundays many boutiques, enjoy a bite to eat or a tropical smoothie along the Esplanade, get fit and take in the views on the coastal boardwalk from Airlie Beach to Cannonvale Beach or get pampered and relax at a day spa! Enjoy the tranquil scenery of Dingo Beach while sun baking or beach combing, Overlook the beautiful Whitsundays Islands whilst enjoying a picnic lunch, deep sea fishing around Mt. Gregory and Gloucester Island.